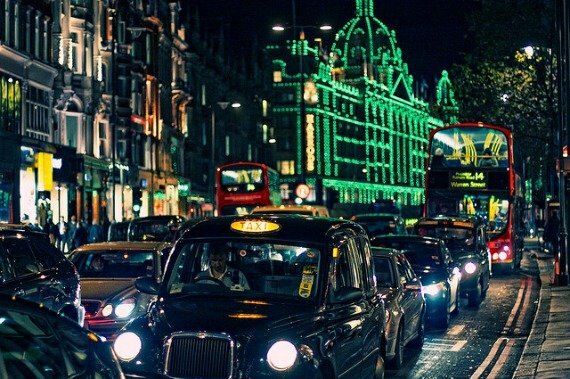 There’s nothing quite like the excitement and energy of London for the holidays. Starting in November the city is decked out with lights and decorations and there’s a festive atmosphere everywhere you go. 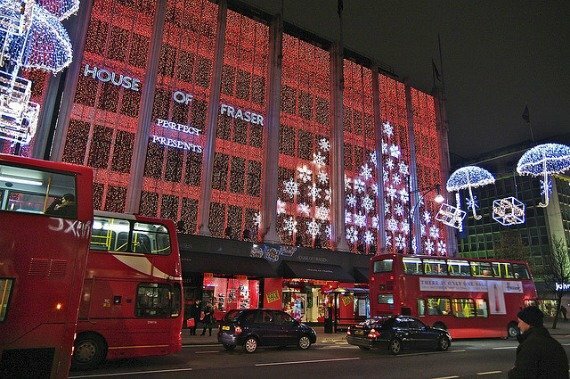 Christmas shopping in London is even more magical than the rest of the year! 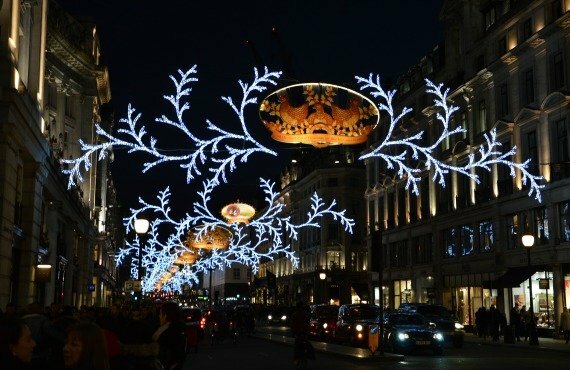 If you love the hustle and bustle of Christmas shopping crowds then you won’t want to miss Oxford Street during the holidays. Looking for something a little more intimate yet still festive? 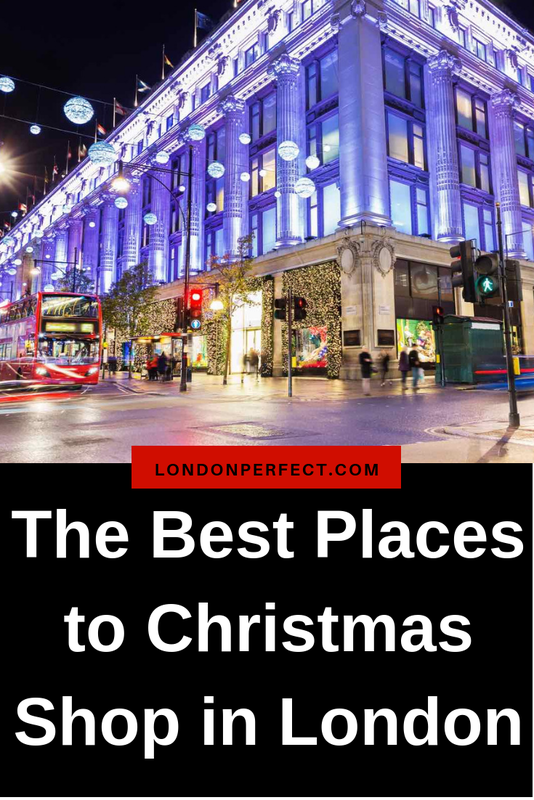 Then you’ll definitely want to take your holiday shopping list to King’s Road in Chelsea or Marylebone High Street. Don’t forget to plan a visit to Harrods to see their lavish Christmas windows and have a shopping experience like no other! From big and loud to quiet and classic, here’s our look at the best holiday shopping spots in London. If there’s one place in London that summons up the very biggest and brightest of holiday shopping then it must be Oxford Street. This grand thoroughfare is decked out with holiday lights and themed decorations each year from from early November and often kicks off the Christmas season when the lights are switched on. The switch on is a huge event with music performances and celebrity appearances leading up to the actual turning on of the lights. Start your Oxford Street shopping adventure at Marble Arch at the corner of Hyde Park and walk east. Along the way you’ll pass huge and very popular shopping spots like Primark, as well as familiar shop names and British high street classics like Top Shop. 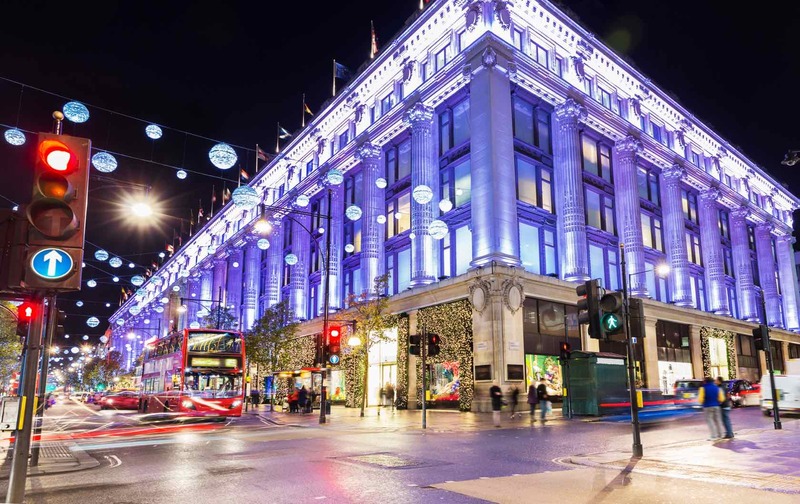 Save time for exploring the grand department stores like Selfridges, Marks & Spencer and John Lewis. You’ll find it all on Oxford Street! Christmas Shopping in London Tip: If it all gets to be a little much on Oxford Street, duck into the alleyway just past James Street leading to St. Christopher’s Place. You’ll see it marked by a few signs so it’s not too hard to spot. St. Christopher’s Place and the surrounding alleyways are surrounded by cute little shops, pubs and restaurants with a more intimate feel than Oxford Street. Covered with whimsical holiday lights and always a busy shopping area, Regent Street is another holiday shopping spot you won’t want to miss. During the switch on the whole street is traffic free to make way for a big party with music and even a fireworks display after dark. Now that’s the way to kick off your holiday shopping with a bang! Just off Regent Street, don’t forget to stop in Liberty of London to see their beautiful Christmas decoration area and wander through this iconic London shopping experience. Christmas Shopping in London Tip: If you have children on your shopping list then you’ll want to visit Hamleys on Regent Street. Founded in 1760, it’s the world’s oldest toy store! It has called Regent Street home since 1881, and the holiday toys and teddy bears make the perfect Christmas gift. 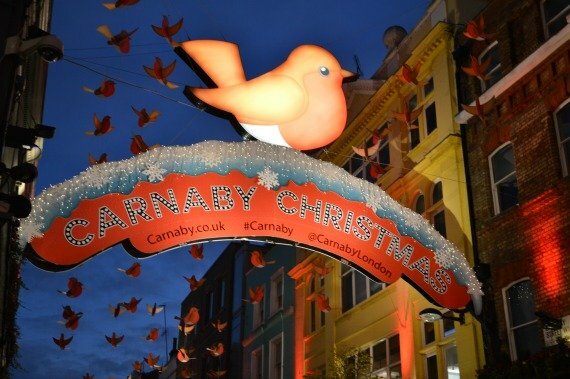 Fun and fashion on Carnaby Street for the holidays! 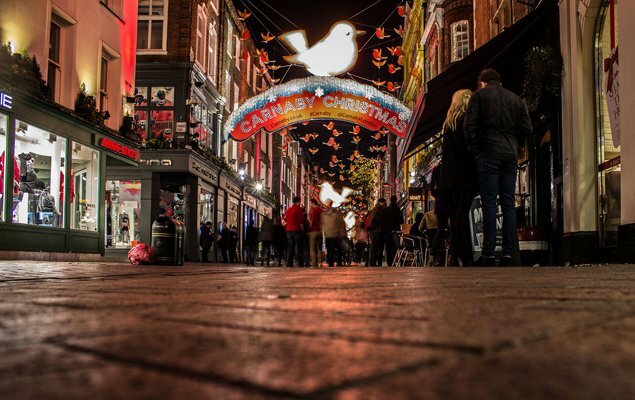 For a Christmas shopping atmosphere of a slightly funkier kind, head to Carnaby Street just off Regent Street. Brightly colored shopfronts, stylish stores and restaurants and wild Christmas decorations make this one of the most unique shopping spots in London. Two years ago the Christmas decorations were dedicated to the Rolling Stones and last year the street was decked out with big red robins. 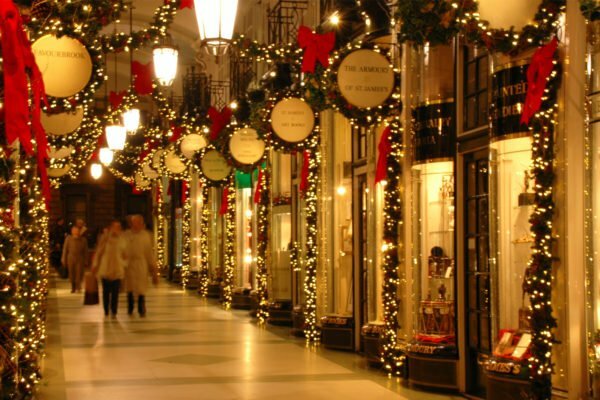 Join in the fashionable fun and festive spirit on November 13th for the Shopping Party and Christmas Light Switch On, which offers 20% off at hundreds of shopping spots. Christmas Shopping in London Tip: Don’t make a fashion faux pas and show up for the Carnaby Shopping Party and Christmas Light Switch On without your ticket. The party is in November with the switch on of the lights at around 6:30pm. Get your free ticket here! It’s not Christmas in London without a trip to Harrods! Start your visit with a stroll along Brompton Road to see the lavish holiday window displays. 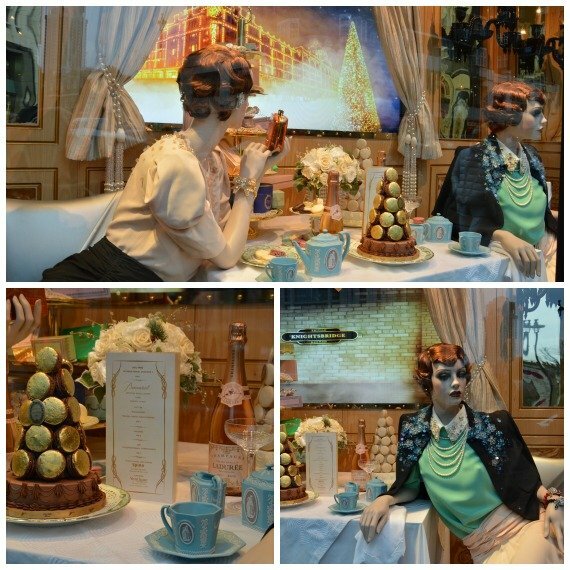 Last year’s Harrods Express theme captured the elegance of old world travel with the sumptuous Harrods touch. After catching a glimpse of the holiday windows, head inside to check out the Christmas Shop with its huge selection of holiday decorations and gifts. Why not pick out a few decorations for your Christmas tree to remember a marvelous holiday trip to London? Christmas Shopping in London Tip: For the foodies on your shopping list, take time to explore the Harrods gourmet Food Halls. You’ll find a massive choice of the very best chocolates, sweets, teas, coffees and more! Harrods is in the heart of Knightsbridge, but there’s so much more to this neighborhood for shoppers to discover. Plan time to shop along Brompton Road and take a diversion down trendy Beauchamp Place where you’ll find a selection of super refined boutiques and jewellery stores. Then hit the stylish department store Harvey Nichols before heading down Sloane Street, which is where you’ll find boutiques from the world’s top designers like Gucci, Dolce & Gabbana, Louis Vuitton, Versace, Valentino, Dior, Prada … and the luxury list could just keep going all the way until you reach Sloane Square in Chelsea. If you’re looking for a fabulous selection of shops all in one place, but with a more intimate scale than the big shopping streets like Oxford and Regent Street, then mark your maps and plan a day shopping in Chelsea. Starting from Sloane Square you’ll want to pop into Peter Jones to see their Christmas decorations and fabulous gift selection. 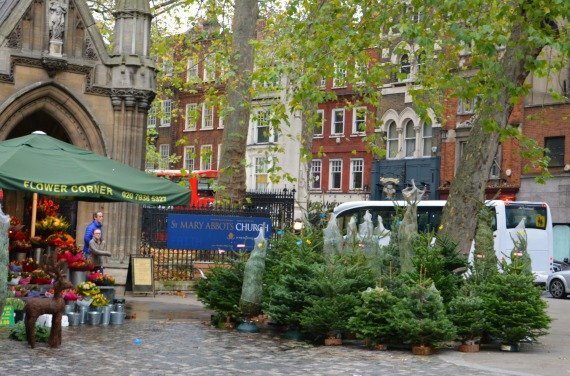 Then make your way to Duke of York Square nearby where the Christmas shopping spirit is kicked off with a celebrationion November with carols, reindeer, free gift wrapping and the light switch on. Father Christmas is even usually there! Strolling down King’s Road is always a shopping pleasure, but during the holidays with the lights, Christmas windows and festive atmosphere it’s over the top fun. There’s just the right blend of fashion shops and restaurants and coffee shops so you can pop in and warm up with a hot chocolate or rest your feet over lunch before hitting the shops again. Christmas Shopping in London Tip: One of our favorite holiday spots in Chelsea is Bluebird, located in a historic Art Deco style building that was once a mechanic garage. For a festive holiday shopping experience, there’s really no better place in London than Covent Garden. With street performers, markets, tons of shops and restaurants and sparkly Christmas lights and decorations, it’s a fun shopping spot for the whole family. We love how there’s less traffic to worry about while exploring the shops in the Piazza and the surrounding neighborhood. Take your time exploring Floral Street, Long Acre and make your way up to colorful Neal’s Yard and explore the great shopping along Earlham Street over to the Seven Dials area. You’ll find traditional pubs and tons of restaurant in the area when you’re ready for a shopping break. Christmas Shopping in London Tip: While you’ll find branches of the Neal’s Yard natural skin care shops around London, the original shop in Neal’s Yard is our favorite. Perfect for a bit of pampering while out holiday shopping or for lovely organic gifts that you won’t find back home. 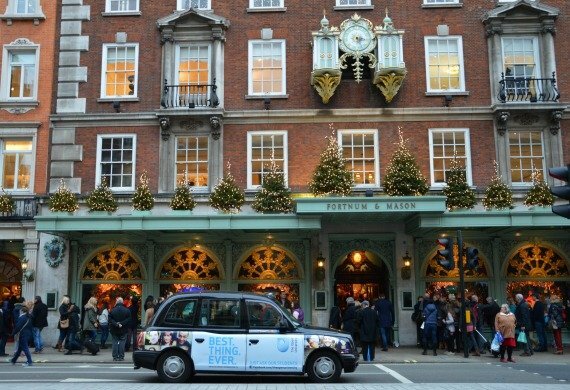 It’s not Christmas for us until we visit Fortnum & Mason on Piccadilly, which is our favorite Christmas shopping store. 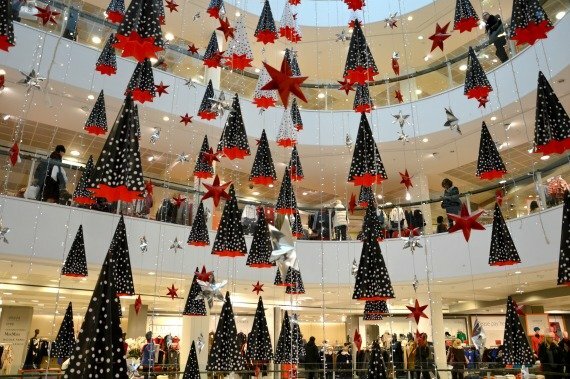 The decorations are elegant and unique and the floors of home décor, fashion and gourmet food selection make it a must during the holidays – and throughout the year! The holiday windows are classic and always unique and a festive holiday event when combined with afternoon tea at Fortnum & Mason. Nearby you’ll find St. James Church and if you meander through the courtyard on the opposite side is Jermyn Street lined with fine clothing shops. 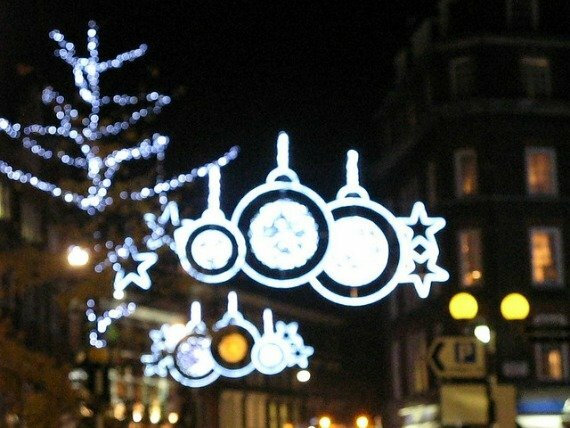 On November 27th you can enjoy the Fayre of St. James and the Jermyn Street Christmas Lights celebration. Cross Piccadilly and you’ll find Old Bond Street, which is home to luxury boutiques and jewelry stores. Christmas Shopping in London Tip: While exploring the Piccadillly area, don’t forget to walk through the shopping arcades like the Burlington Arcade and the Piccadilly Arcade, which are decked out with holiday lights. You’ll even find a Ladurée at the entrance to the Burlington Arcade if you’re having a craving for macarons! If you’re looking for a great selection of high street shops without the crowds of Oxford Street and Regent Street, then you’ll want to visit Kensington High Street. There’s a large Marks & Spencer, a two level Whole Foods, large Waterstone’s bookstore, fashion boutiques and more. As you head up Kensington Church Street toward Notting Hill you’ll find antique and home décor shops lining the road. While you’re in the neighborhood, you could also pop over the Kensington Palace (why not!) and visit their gift shop, which has something for everyone royal in your family. 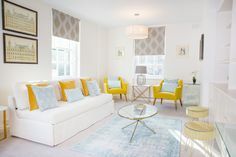 There’s a cute café in Kensington Palace or you could stroll over to the Orangery for an elegant meal or afternoon tea. Christmas Shopping in London Tip: Who doesn’t love a good sale, right? For you shoppers who love scoring a great deal, then you won’t want to miss TK Maxx on High Street Kensington. 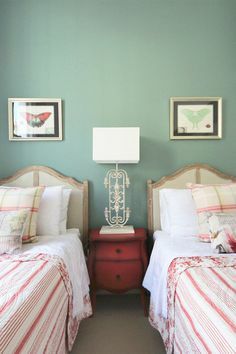 The sister company of TJ Maxx in America, this discount shopping store has an even better selection and features a Gold Label section with designer labels. Notting Hill has its own unique shopping charm throughout the year, which is just as special during the holidays. An excellent selection of smart and very stylish boutiques are centered around Westbourne Grove and Ledbury Road. You can hunt for treasures at the antique shops along Portobello Road, but there’s so much more than the antique shops and market the street is famous for. You’ll find trendy boutiques, excellent bookshops, cafés and restaurants in the neighborhood, too. Christmas Shopping in London Tip: For the readers on your shopping list, stop in the Notting Hill Bookshop at 13 Blenheim Crescent (just off Portobello Road), which was used in the movie Notting Hill with Hugh Grant and Julia Roberts. Just across the street is Books for Cooks, a fabulous bookshop dedicated to cookbooks. Around the corner on Kensington Park Road is Lutyens & Rubenstein, a shop so lovely it will make book lovers go weak at the knees. It’s a great spot for stationary and gift items as well. Even seasoned London shoppers may not have visited Marylebone, yet it’s just a short stroll north of Oxford Street. 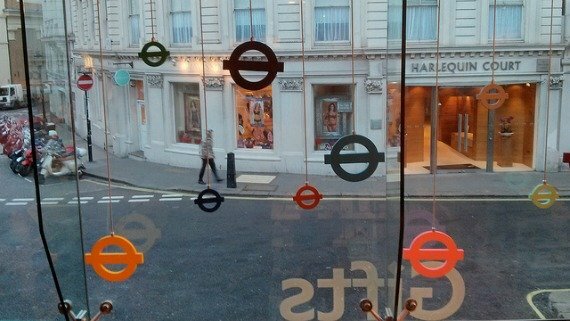 Follow Marylebone Lane as it squiggles up to Marylebone High Street, which is absolutely charming London shopping spot. Lined with fashion and home boutiques, cute cafés and pubs and food shops, it’s a quaint and fun diversion from the crowds along Oxford Street. We’re particularly fond of Daunt Books, The Natural Kitchen, Divertimenti and the beautiful Diptyche candle store. Christmas Shopping in London Tip: For a taste of France, stop in and pick out some of the fabulous pastries at La Pâtisserie des Rêves on Marylebone High Street to enjoy after dinner at your London Perfect vacation rental. The London Transport Museum shop – great for gifts! If you’re like us then you seriously love a good museum gift shop. If there art lovers on your holiday shopping list, then you’ll want to save time to explore the museum gift shops in London. One of our favorites is the huge shop at the Victoria & Albert Museum in South Kensington. They have a beautiful selection of gifts ranging from home décor to Christmas decorations and cards and gorgeous scarves with historic prints. There’s a separate gift shop in the museum with books, too. The Courtauld, National Gallery, Tate Modern and British Museum also have excellent gift shops. Christmas Shopping in London Tip: Pop into the London Transport Museum in Covent Garden to explore London’s transportation history and to enjoy shopping for great memorabilia and gifts in the shop. The team at London Perfect is here to help you have a magical holiday season. Contact us today to hear about our great selection of apartments and tours. 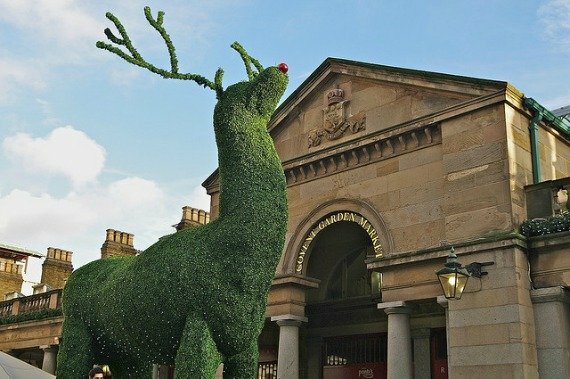 NEXT: Christmas in London – An Enchanting Winter Experience! Posted on Monday, November 3rd, 2014 at 11:25 am in Shopping. You can follow any responses to this entry through the RSS 2.0 feed. You can leave a response, or trackback from your own site.